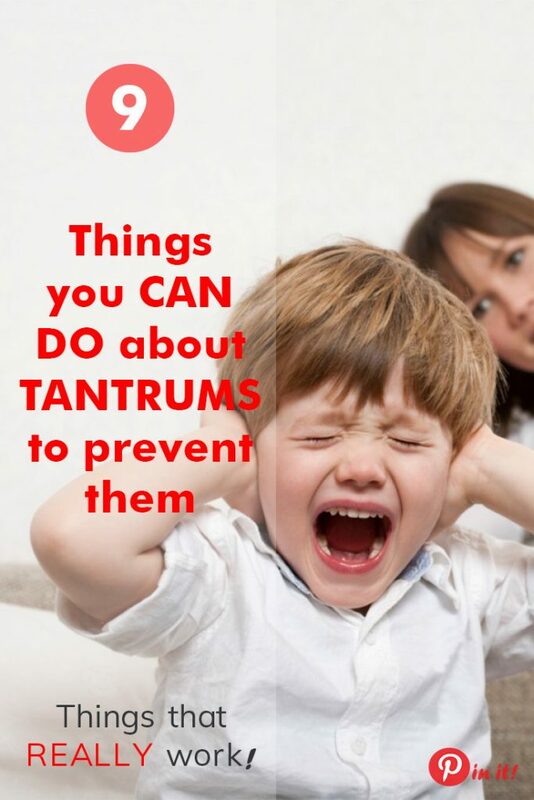 I won’t exaggerate if I say that tantrums may very well be every parent’s biggest nightmare but only if you don’t know how to deal with them, what stands behind them, and what you can do to avoid tantrums in the first place. Even though they are a natural part of child development, personally I never wanted to put up with them because it’s just heartbreaking for a mom to see her child screaming and crying her eyes out without any particular reason. Having said all that, you can guess that I always wanted to dig to the root cause of tantrums in order to prevent them or at least reduce their frequency and/or intensity. I’ve come to believe that tantrums are born out of children’s inability to express a strong feeling or emotion properly. It happens because they don’t know the names for what is going on inside them and don’t have the knack of talking through their physical and emotional states, so they resort to the only option they know. And I consider it our task to teach and train our kids to use words to express themselves peacefully. Moreover, I’d rather try and prevent something unpleasant than deal with its consequences later on. If you’re anything like it, read on. 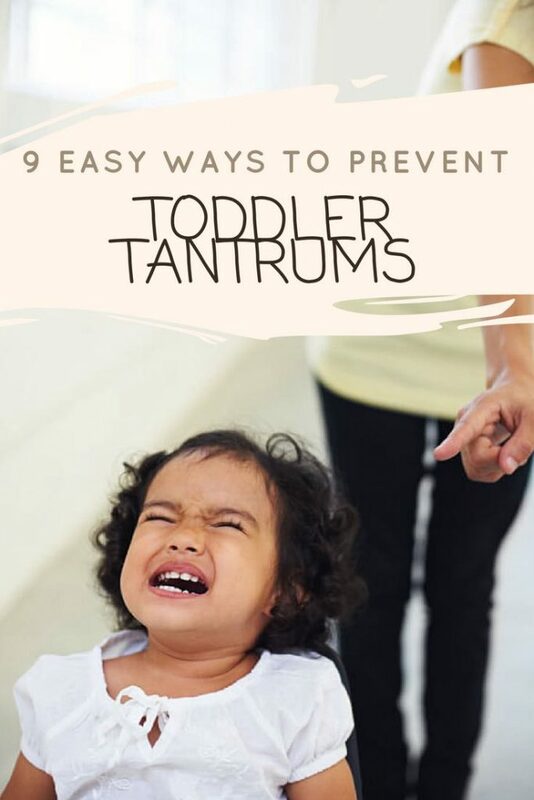 Let’s put tantrums into three approximate categories to understand better what causes them and therefore figure out possible ways and strategies to avoid them. They might naturally be born out of your baby’s cries about hunger, thirst, fatigue, some discomfort or aching in the body. We all know how easily kids can get lost in a game or an activity and lose track of everything else. Strangely, children forget very quickly how many times they fell down on their knees before they learnt to walk steadily. So they may get really frustrated when they fail to do any little or big thing like tear open a snack package or trace a letter. Resorting to such behavior, children try to get what you won’t let them have, like an ice cream or a toy. I think this kind of temper tantrums has its roots in the very first days after a baby is born when crying is literally the newborn’s only way to get the parents’ attention and survive. While the baby grows and becomes more and more conscious, she keeps on using this tool (that has proved to be working wonders when it comes to food, soiled diapers and what not) into her toddler and pre-school years. When she wants something but hears no from you, she automatically turns on this ‘baby yelling and rolling on the floor’ thing. It’s very important to recognize the true nature of your toddler’s first serious meltdown, and if it’s not a matter of ‘life and death’ anymore, ignore it for a few first occasions. Otherwise you’ll encourage her to behave this way next time she wants something from you, and every time it will be harder and harder for you to resist her tears and screams. This may be your best option to prevent physiology-based tantrums. Think of all the daycare centers with a well-defined routine and how easily kids get used to it. They learn very fast that after some indoor playtime they go to play outside, then they have lunch followed by nap time, light snack time, some more indoor or outdoor activities and then it’s time to go home with mom and dad. Complying with this order of things they function perfectly well. So, when your child is spending a day or two with you, try to imitate this sequence of activities (s)he is used to at the daycare center. Or set up your own routine better fitting the needs of your child and yours. To make your child more cooperative, try to avoid unexpected events in your schedule because they tend to send young kids off balance, or at least say about something new coming well in advance. Remember little ones are all about routines and habits! Don’t laugh at their attempts and especially their failures, however don’t be hasty to help them or, worse, do the thing for them. It may get them righteously angry as you limit their freedom to make mistakes and learn from them. Instead gently remind them when they’re about to try to do something (relatively) new that they can always go up to you and ask for your help, guidance or support. You might even want to rehearse together the calm tone and panic-free intonation of the phrase they’re going to use to get your help. For example, teach them to tell you gently: ‘Mom/Dad, I can’t do it on my own. I need your help with that, please.’ or a shorter option ‘Help me please!’. No matter how simple this may seem to you, for your child it’s a skill to be acquired so repeat it often, every time they do something new and/or challenging for them. Believe me, you don’t want to scream through several walls of your house when you tell your child to get dressed for a walk or anything else really. You raise your voice so that (s)he hears you properly but it increases the chances of him/her raising their voice in response, and if (s)he disagrees with you, it might lead to a nasty hissy fit. I bet it doesn’t sound very appealing. Well, you can easily avoid it by putting yourself in front of your child in direct proximity, patting him on the shoulder and asking him gently but firmly to stop his current activity and… go wash his hands before dinner or change his clothes for a walk, you name it. You need this subtle physical contact because at the age of 1-3 children are rather asocial, they tend to play by themselves a lot. However they can get easily hurt by you interrupting their games especially for something they don’t see as important or necessary. And remember that the way you speak to your toddler now will very much affect the way your teenage son or daughter will speak to you 12-14 years later. Young children are eager to try and do a lot of things independently. If you don’t want your well-planned schedule to be ruined, give them some extra time to put their T-shirt on, help you set the table for lunch, brush their teeth – do it all by themselves. This way you won’t hinder their freedom and you’ll enjoy the company of your little helpers without any temper tantrums. This stage of development in children is the time when they contradict almost everything you tell them. Your sweet little baby hasn’t become mean suddenly, this is just him checking how much he can influence events with his words and actions. However, if you don’t want to play tug-of-war with your toddler, let them choose out of two possible items at a time within the safe limits that you define, as often as you can. Say, if you know he tends to throw tantrums while getting dressed for a walk or sitting at a kitchen table, you may ask such questions: ‘Do you want to get dressed yourself or you want me to help you?’, ‘Do you want to wear the red shirt or the green shirt?’, ‘What do you want to eat with: a spoon or a fork?’, ‘What do you want to have after the meal: an apple or a pear?’. Just watch him and you’ll see that when you give him a chance to make his own choice, any preexisting bad mood gets washed away instantly. He feels the importance of what he decides, he starts smiling and everything ahead of you goes smoothly and easily. If you always impose your wisdom on your child, she will hardly understand what you’re saying about causes and consequences of particular choices she’s about to make. Let her do it and learn the lesson. Don’t resist her strange request to wear sandals when you’re going out in December and it’s freezing outside by explaining that it’s cold and she won’t feel comfortable wearing those. Let her put the sandals on. She will step outside for as long as 5 seconds which will be enough for her to get what you’ve just said and will be back home to put on some comfy warm boots. Don’t worry, she won’t catch a cold however she’ll learn an important lesson from her own experience which is priceless really. When children understand and know the name for what it is that’s overtaking them, they often stop in their tracks and draw their attention to something different. Or you may want to switch their focus finding an alternative option to what is impossible right at the moment. Always bear in mind that children learn by example no matter how much we would love to believe in the opposite and lecture them about what’s wrong or right. And first of all they learn by your example of how you handle frustrating situations. They may be unable to speak coherently yet but they watch your every move, every word, every gesture, and every face expression. They write all this information up in their subconscious mind to play it back at you later. If you yell at an imaginary offender or complain when you fail to do something, they’ll cry, scream, and curse when somebody/something wrongs or annoys them. However, if you talk through the situation and your emotions as calmly as you can, they’ll learn to act the same way eventually. I know right now this may be very difficult to remain cool-headed but it is also very rewarding in the long run. My personal number one tantrum preventing measure is no animated TV-series for ages 0+ and no gadgets for years 0-4 tentatively. If your child turns out be very emotional, sensitive, and easily over-stimulated by his surroundings, set rule # 1 in your family: no TV, no gadgets, no animated shows. Or if you’ve already introduced your little one to these wonders of modern technology and you don’t believe my word, make a simple experiment: quit it for at least a month starting today (mark the 30th day in your calendar). By the end of this period see for yourself whether your child will have had fewer meltdowns or of less intensity or not. If you see some benefits, then you may choose to continue with the experiment which might have already become the style of life in your household. But I need to warn you about something. This experiment may be useful only if you reduce the time that your kid sees yourself glued to the screen. Otherwise he will inevitably want to follow your example and will keep begging you to let him watch just one episode of his favorite show. What will happen if you keep refusing? It all may lead to even greater tantrums (which is what we are working to avoid, right?). I hope that during this TV-free period of your family life you’ll spend more time outdoors and indoors. You can play games, learn and teach to ride a bike or roller-skate, frequent playgrounds, make new friends, have interesting talks, make crafts, and cook your favorite meals together. Most probably your child will also become more cooperative and be able to express his emotions and thoughts in words more than in tears. Don’t be worried that sticking to this no-TV plan you’ll get kids who are not intuitive gadget users in our information and technology packed world or that it’ll hinder their future in any way. Even if they start using technology actively later, like at 5-7-9 years old, they will make up for the “lost” time very fast. In the meantime you’ll spare them healthy brains, eyes, spines, emotional stability, etc etc. My daughter is four and a half years old now, and, unfortunately, for about 3 years she had been exposed to animated TV-series and gadgets from time to time. Then, one morning, after her father sat her to watch ‘Masha and the Bear’ because he wanted to talk with me and this whole thing lasted for a good hour and a half, she threw such a crazy and powerful tantrum insisting on keeping to watch the show that I had enough and decided to give a try to a TV-free month. For the past 5 month period without TV we have still watched some animated and feature films at home and at the movie theaters, listened to song videos on YouTube (mostly from ‘Frosen’, ‘Moana’, ‘Trolls’, and ‘The Lion King’ occasionally:)) but it’s been more conscious on my side and more meaningful for her. And I can tell you for sure that the calmer, more sensible, joyful, and cooperative girl she’s become is totally worth the effort! Our aim as parents in all these pre-tantrum situations is to show and teach our kids how to cope with various and often overwhelming emotions, how to express them safely and ecologically for their own sake and the sake of those around them. It’s a very long journey with bumps and potholes on the way but we can gain mastery over it by staying loving, consistent and positive in our actions and attitude. What about you and your children? 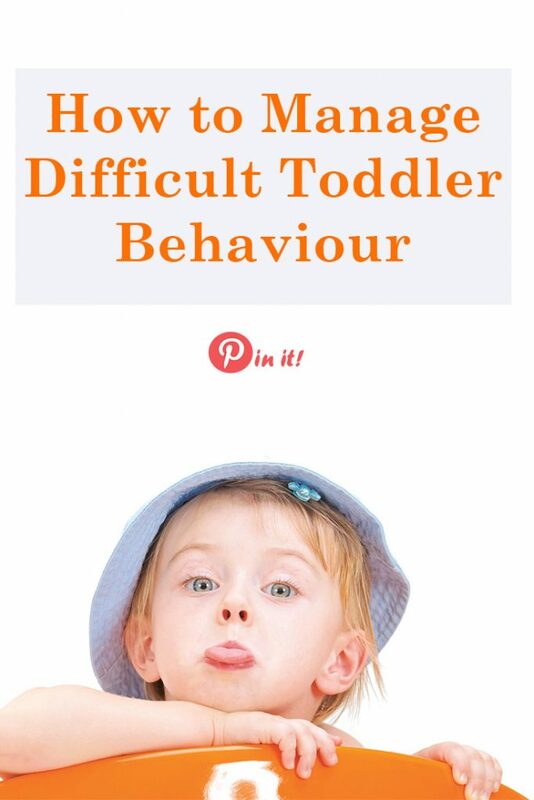 Which one of the outlined strategies to avoid tantrums sounds most appealing to you? Have you tried any of them yet? Or maybe you have your own ploys that have worked miracles in preventing your kid’s meltdowns? Please, share your thoughts and ideas in the comments below.